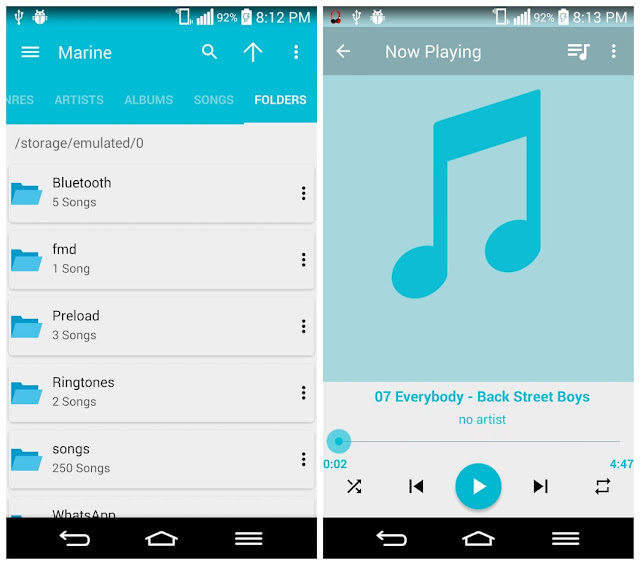 Marine Music Player Is a Material design music player Simple is the new Smart. 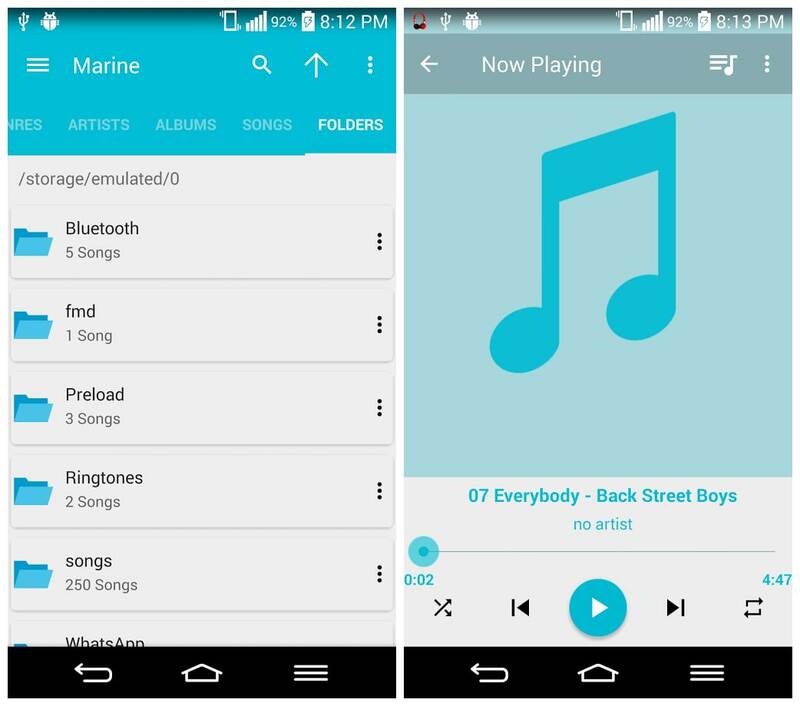 Marine Music Player Pro is a new and innovative and revolutionary app which is pro version of Marine music player and continuously in development. One of the most beautiful and best material design music for Android!. 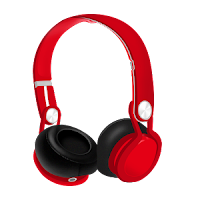 This app is one of the most powerful yet simple and surprisingly faster than other apps.Beautiful skins to make your music player look more outstanding, and these also make your music player get the next level experience. Browse and play your music by albums, artists, genres, songs, playlists recents.